Know a child who loves searching for treasure in the sand? 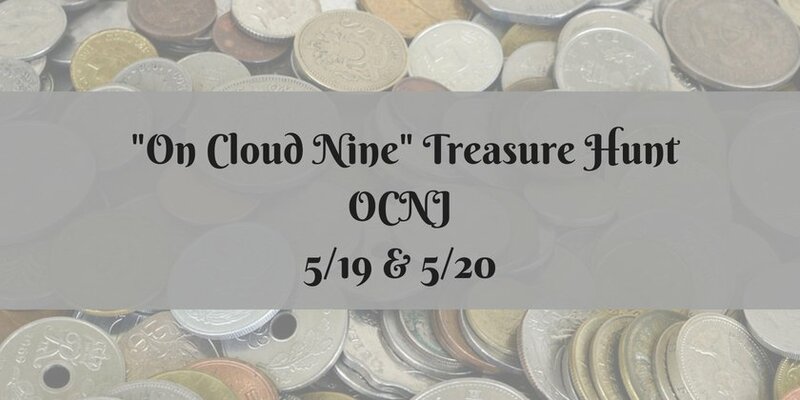 If so, they’ll have a wonderful time at the “On Cloud Nine” Treasure Hunt taking place this Saturday, 5/19. Children ages 13 and under will have fun searching for buried treasures such as foreign coins that they can keep. They will also find raffle tickets for a chance to win larger prizes. Registration starts at 9 am, and the hunt begins at 11 am at the Music Pier. Admission is $5. The event is sponsored by The East Coast Research and Discovery Association (ECRDA), the Northeast’s largest treasure-hunting club. Since 1983, the ECRDA has promoted the hobby of treasure hunting among adults and children. For more information about the children’s hunt and to learn about the adult hunt also taking place on 5/19 as well as 5/20 please visit www.ecrda.org or call 732-276-8251. The American Heart Association Heart Walk is taking place on Saturday 5/19 at 10:30 am (registration begins at 9 am) at the Sports & Civic Center (6th and Boardwalk). For more information call 609.399.6111. Walk for Lupis Now is taking place on Sunday 5/20 at 10 am (registration begins at 9 am) at the 6th St. Practice Field (6th & Boardwalk). For more information contact info@walktoendlupusnowsj.org or call 1-866-517-5070.